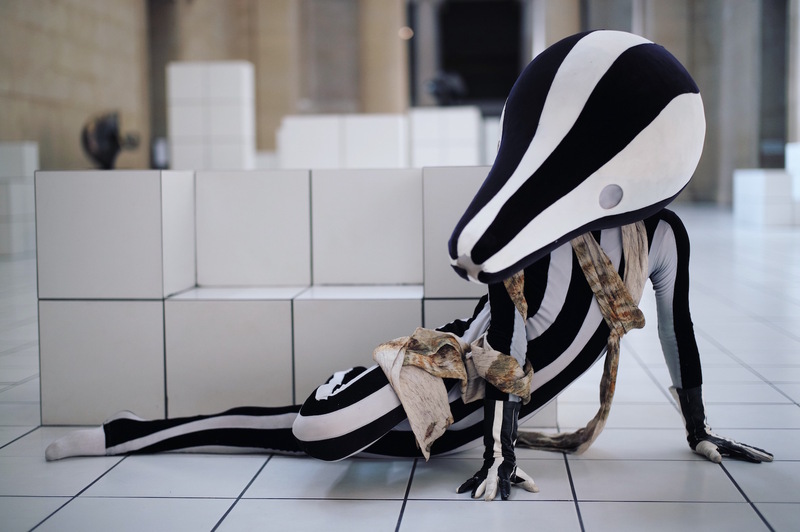 Tate Britain today unveils The Squash, an immersive installation combining performance and sculpture by 2016 Turner Prize nominee Anthea Hamilton. The Squash has been created for the annual Tate Britain Commission, supported by Sotheby’s, which invites contemporary British artists to create new artwork in response to the grand space of the Duveen Galleries. 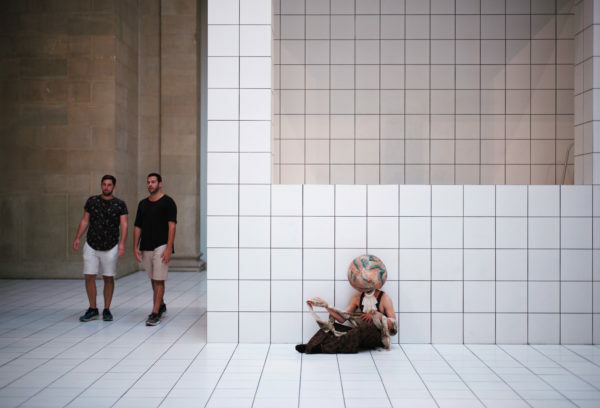 Anthea Hamilton has transformed the heart of Tate Britain into an elaborate stage for the continuous 6-month performance of a single character, dressed in a colourful squash-like costume. Over 7,000 white floor tiles have been laid to span the length of the Duveens and encase a series of large structures that serve as podiums for a number of works of art from Tate’s collection, chosen by Hamilton for their organic forms and colours. 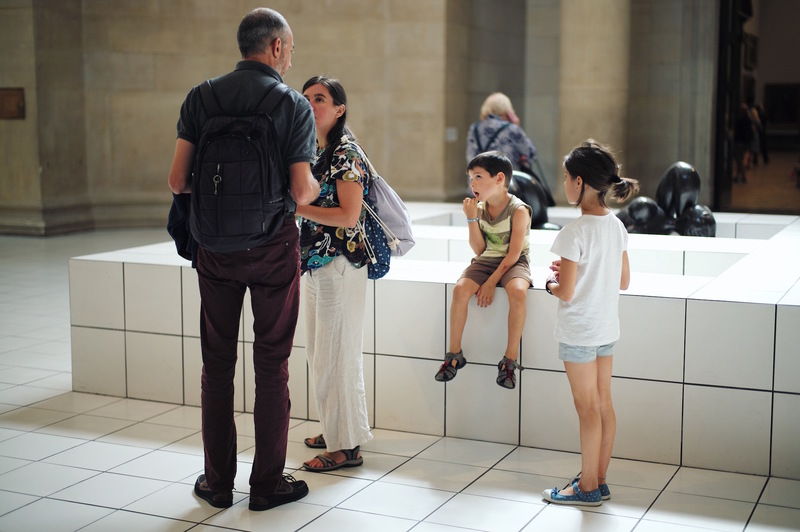 The tiles create an immersive new environment within the neoclassical galleries. 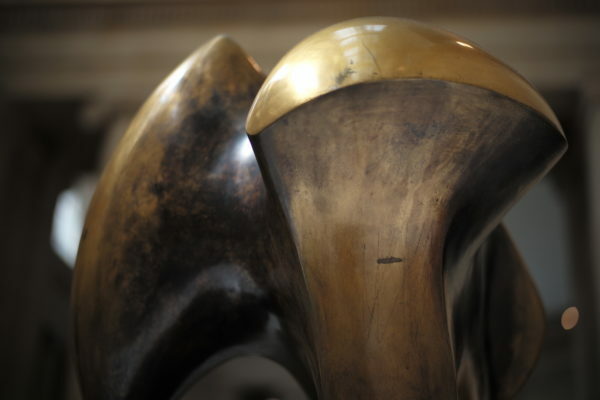 The artist is influenced by the early 20th century French writer and dramatist Antonin Artaud and his call for the ‘physical knowledge of images’, it is this bodily response to an idea or an image that she wishes to examine in The Squash. Each element of the work has evolved from Hamilton’s interest in a found photograph, for which the original source has since been lost. 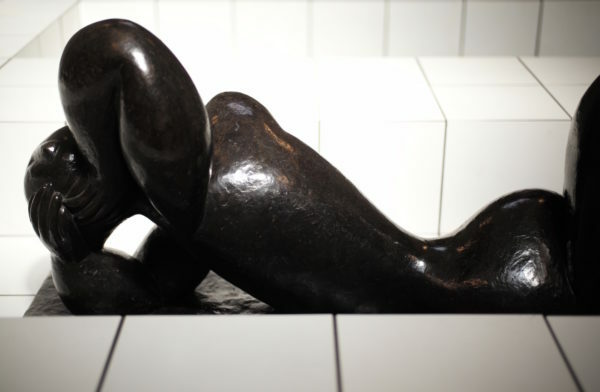 The viewer must imagine its history and intention and it is here the artist brings together tiles, structures, sculptures and costumes, inviting the performer to explore their own interpretation of the image. Hamilton has designed seven costumes in collaboration with Creative Director Jonathan Anderson at the fashion house LOEWE, that incorporate the colours and shapes of varieties of squash or pumpkin. Performers will select a costume each day, informing and reflecting their individual presentation of the character as they inhabit the space.